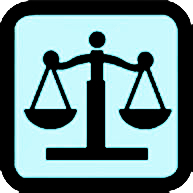 Provider arm of the Council of Legal Education. The Institute offers the Professional Legal Studies Course(PLSC), which provides practical legal training to LLB graduates and is a pre-requisite for admission to practise as a barrister and solicitor. The College offers the Professional Legal Studies Course(PLSC), which provides practical legal training to LLB graduates, and is a pre-requisite for admission to practice as a barrister and solicitor.